"Creating potentially deadly organisms, purposefully or accidentally, could alter our ecosystem forever." Activism causes cover the gamut. Don't like world hunger? Fight to end it. Against Wall Street running the show? Occupy it. Choosing which causes to fight though sometimes gives moral pause, as there are some good people trying to do good things, even if they're doing it with supposedly evil money. When that research gets out of hand though, things tend to get crazy, as they do in Wildfire #1 from Top Cow. 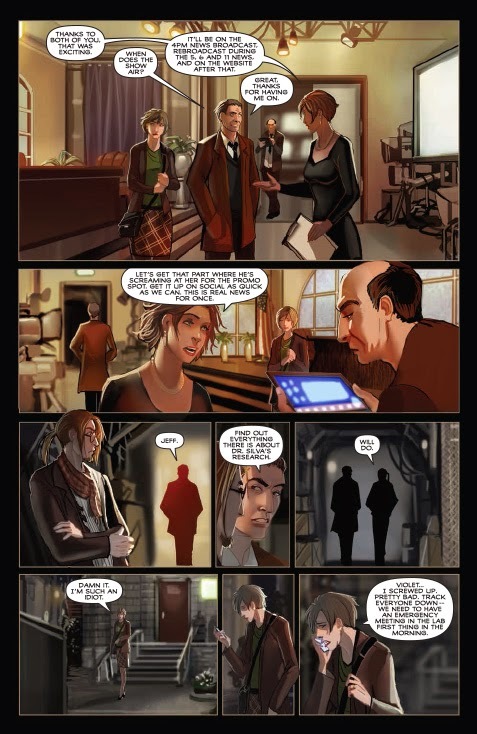 The issue is written by Matt Hawkins and illustrated by Linda Sejic. There's something to be said about wanting to save the world, but often the best intentions are tinged with making unsavory deals. Hawkins infuses that mojo into Wildfire #1, as Miller is working on science that accelerates the growth process, yet that science is backed by a company with a less than stellar reputation. In many ways, Hawkins is drawing upon Monsanto's inspiration as an evil conglomerate, genetically modifying food for the sake of profits. 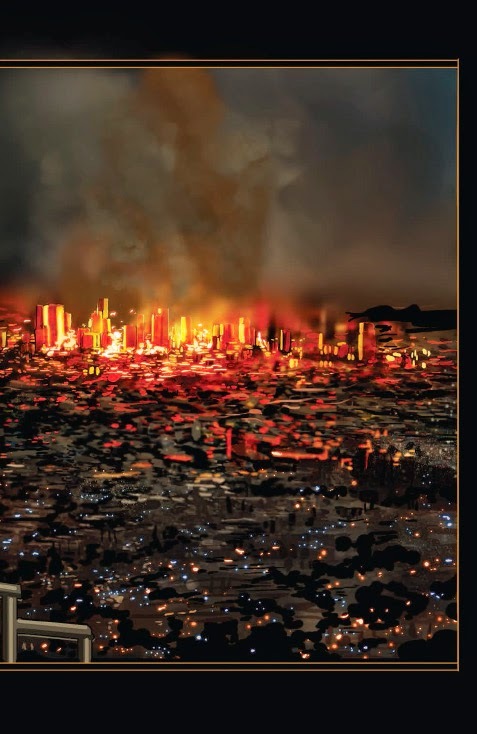 Wildfire #1 takes a look at the intersection between science and profit, doing so in a way that questions how far science goes in the name of science when backed by corporate money. There's always the PR spin (in this case ending hunger), but that spin only goes so far and that seems to be the premise behind the series; when the ulterior motives get out of control. 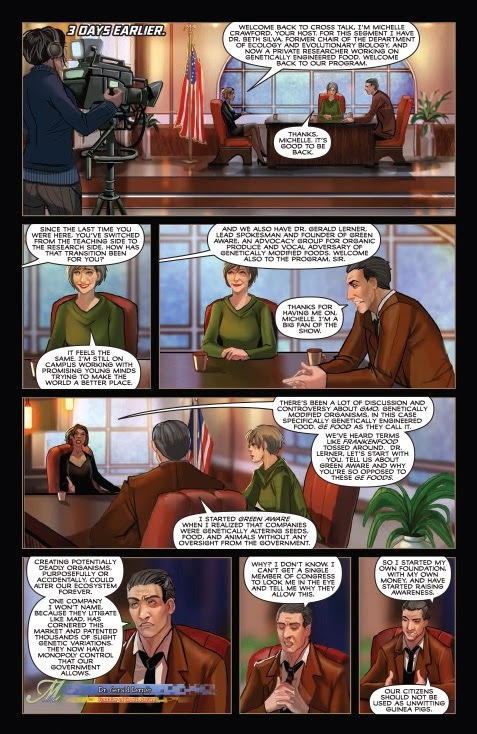 Many of the characters in the book are of the scientific variety and Sejic presents them accordingly. Those characters look a little rigid though and most of the book is rather dark, which seems like a rather odd design decision. Two of the characters look very similar, which prompted quite a bit of "who's that again" within the context of the story. Otherwise, Sejic relies on characters with no hard outlines and emotive faces, even if many of those faces look similar. That's the biggest drawback to the book, in that Sejic doesn't really do much to differentiate many of the characters from one another. Wildfire #1 opens up with an implied bang and slows to a crawl after that. Sure, this a first issue and there are things that need to be set up, but many of the characters feel distant. The dialogue feels a little dry and doesn't really engage the reader, drawing them into a world where a dandelion can spread like wildfire. 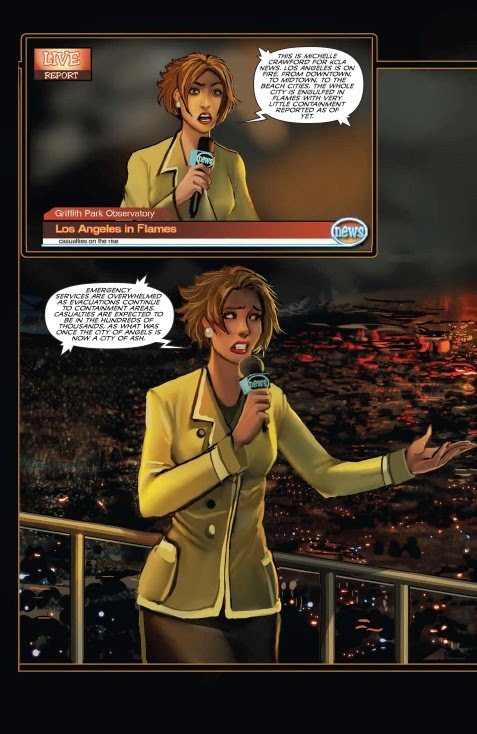 And the link between the work in the first issue and the actual wildfire devastating Los Angeles is practically non-existent at the moment. Hawkins' story excels more when it looks at corporations spending money to make money under the guise of altruism. 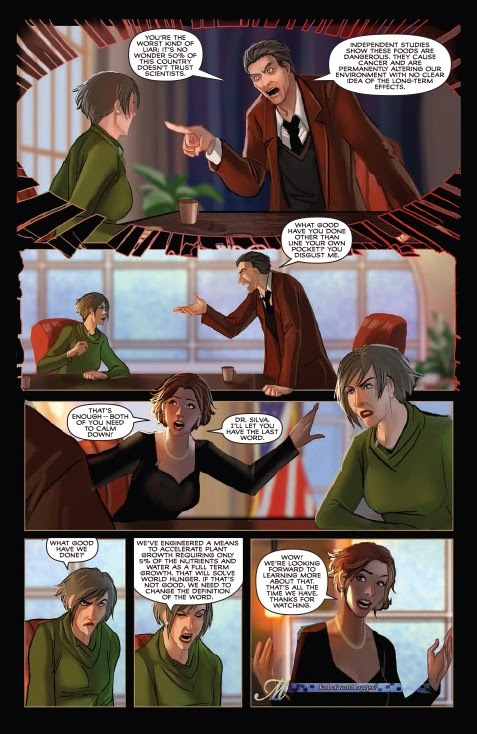 Sejic's art is a little uneven and feels unexpressive at times, despite showing characters' emotions. Wildfire #1 could pick up with the next issue, assuming the pace picks up as well and things really start raging out of control. Wildfire #1 is available in stores with interiors below.